A Cambridge economist and impact investment specialist in emerging economies, Noora has worked for IFC World Bank Group as their Nordic Representative and Western Europe Women’s Representative for Private Sector Projects, the European Investment Bank and in investment banking across five continents. An independent advisor to the United Nations, European Commission, Cambridge University Sustainability Leadership Institute and the World Economic Forum, she is a Fellow of the Royal Society of Arts and Commerce in the United Kingdom and a member of the Finnish Educational Research Association and the Steering Group of Education Finland (dep). A leading internationally published author, editor, speaker and researcher on participatory play-based pedagogy from Finland, Dr Jonna is a Senior Lecturer and Teacher Training Expert at the University of Helsinki and a Joint Research Member at the Playful Learning Centre research laboratory. Her research has been published by Springer, Elsevier and Sage amongst others. Dr Jonna is a Board Member of the Early Education Association of Finland and advises the Finnish National Centre of Educational Assessment and the three capital region municipalities on participatory practices in Finland. We are excited about announcing our new Director of Operations in April 2019! 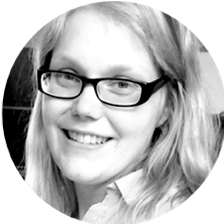 A passionate educator, Pilvi has 15 years of practical experience of curriculum design and operations in Finnish kindergartens. Actively involved in Education Policy and Children’s Welfare matters at the University of Helsinki and through the Mannerheim National League for Child Welfare, she is a grantee of the national OKKA Foundation for Teaching, Education and Personal Development backed by the Trade Union of Education in Finland OAJ and the Kindergarten Teachers Union in Finland. Based in Lima and a graduate of Peruvian University of Applied Sciences and Kellogg School of Management at Northwestern University, Mariella manages our partnerships and represents FinlandWay International Preschools in South America. Educated between Europe and Asia and based in Helsinki and Hanoi, Duong is an expert in cross-cultural management and the Southeast Asian education sector. He represents FinlandWay and manages our partnerships in Asia. We believe in sourcing the best that Finland has to offer for our FinlandWay® schools family, and work with specialists and subject experts in the varying fields covering early childhood development and education. FinlandWay® benefits from our expansive academic and practitioner network at the leading Education Science Faculties in Finland. All our teacher trainers and subject matter contributors are experienced professionals from Finnish universities or teacher training institutes. Our mission is to bring the best of quality education from Finland to thousands of children, families and educators worldwide. We have selected the core elements of Finland’s education excellence and use the latest platforms and delivery models to support our partner schools and families to build better beginnings for lifelong learning. Having studied the most impactful, economical and scalable school system models in growth markets and following years of research and system development, we combine the latest scientific understanding of the most efficient pedagogical approaches to support joyful early learning with pragmatic hands-on guidance for educators and parents. We combine our understanding of the demands and challenges of our partner countries with a firm footing in leading research and daily education practices of Finland.